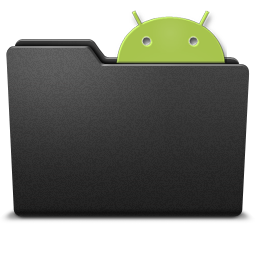 Although Android supports structured data storage - through the Preferences and the database, but sometimes, just a simple file and also to meet the demand for data storage. 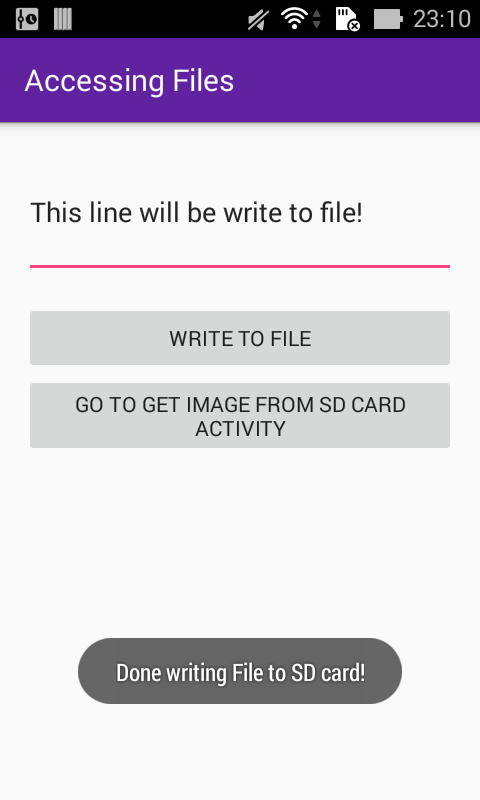 Android offering two ways to access files: one for the file type is packed with your application and a file type to be created by your application on the device. 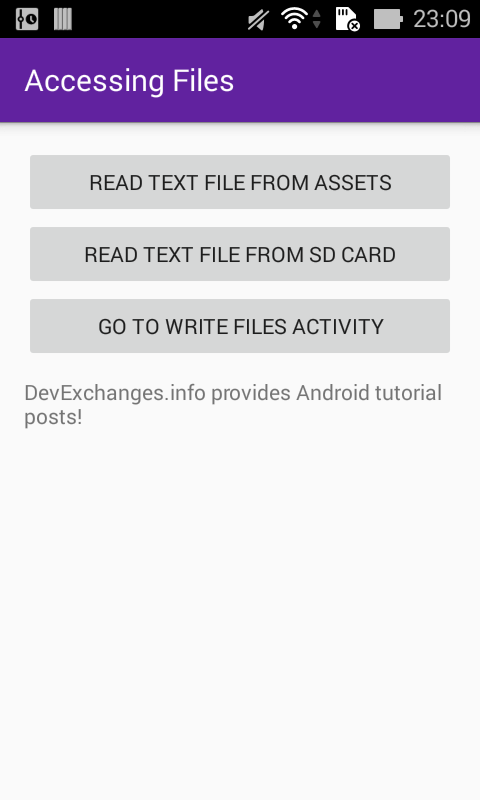 In this chapter, I presented a sample project to accessing 2 these type of files which an application usually interacts with them, hope that you can understand more about storing and retrieving files in Android. Source code now available on @Github. These files located in main/assets/ folder. You can use it to store raw asset files. 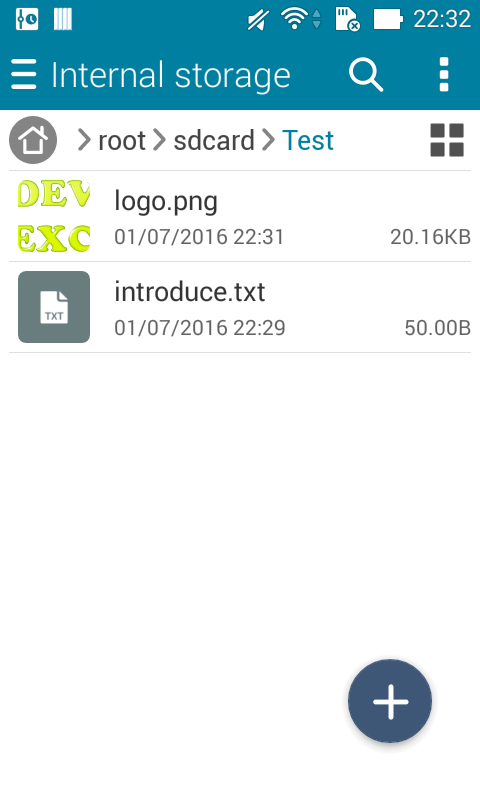 Files that you save here are compiled into an .apk file as-is, and the original file name is preserved. You can navigate this directory in the same way as a typical file system using URIs and read files as a stream of bytes using the AssetManager. For example, this is a good location for textures and game data. As note above, res/assets folder used for saving raw resource files. 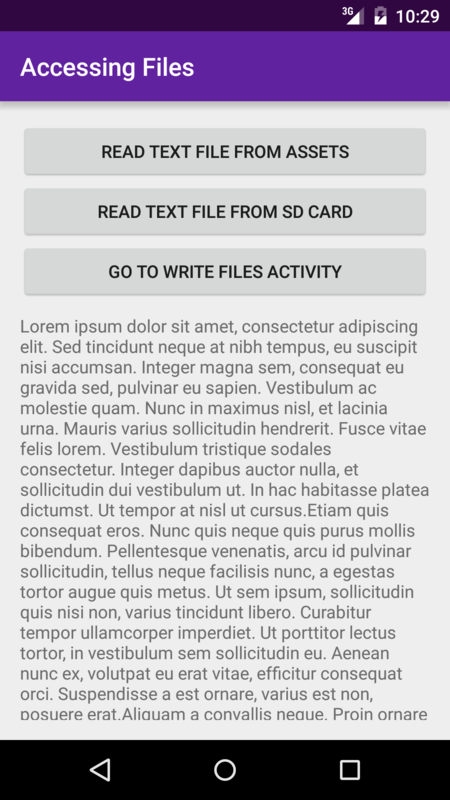 For another cases, you can save the database file (.db) or other file types which providing data to your application, readers find out yourself the way to access and use them! 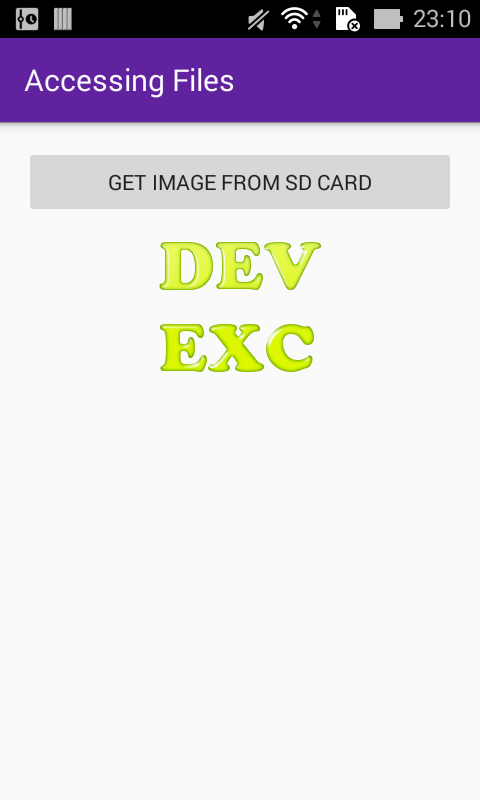 Besides the storage area on the application, you also access the external memory. It may be that the device, external memory cards such as SD card and micro SD, or as a hosted zone is designed to serve the role as an external memory. 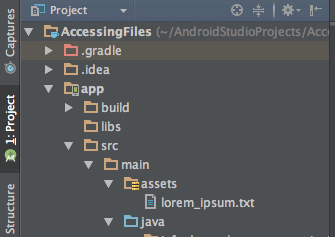 Storing and retrieving data in Android is quite hard to approach. 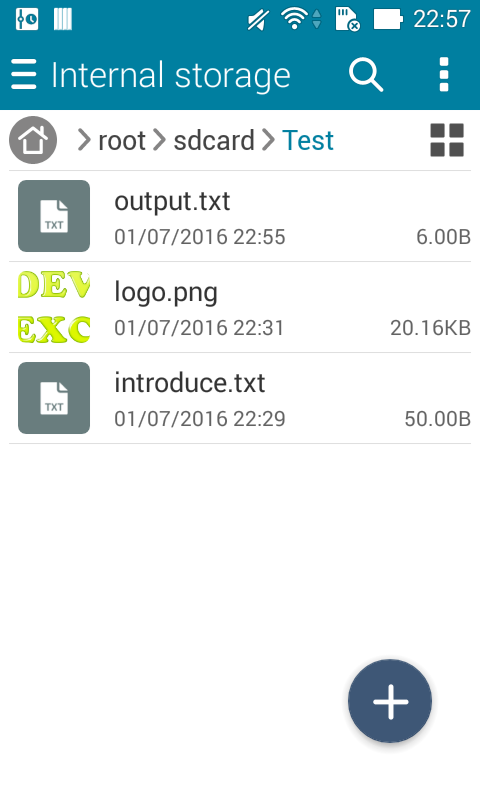 From this post, readers can find out accessing/using many file types. You should also pay attention to security issues for your application when working with external memory, don't be leak your data! Finally, you can get full code of this project by clicking the button below.